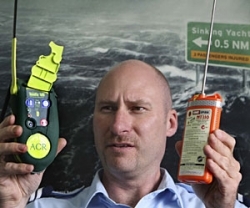 How will a 406MHz distress beacon help save your life? Only 406MHz distress beacons will be monitored by satellite from Feb 1. It’s faster. Once activated, the signal from a 406MHz distress beacon is picked up almost instantly by satellite. The satellites supporting the old 121.5MHz and 243MHz distress beacons could take several hours to determine your location in some cases hours too late. It’s more accurate. 406MHz distress beacons give rescuers a search area of about 20km square. It brings the right response. With 406MHz distress beacons, alerts are cross-referenced against a database of registered owners. Having this information improves rescuers ability to help you in an emergency, and to respond appropriately. Being able to contact you (or a person you nominate) also saves time and resources from being wasted on false alerts out of the 1300 121.5MHz activations in the last two years, only 9 per cent were for a real emergency.